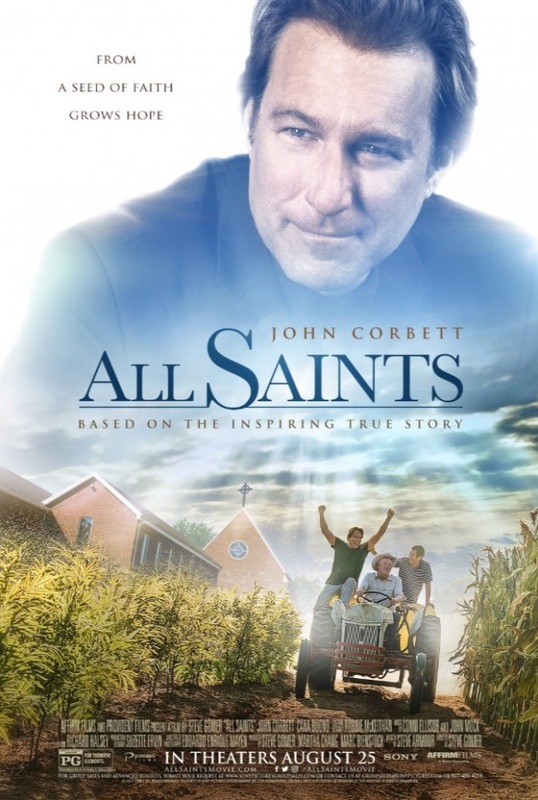 All Saints is the latest in a string of relatively mainstream faith-based films, a list that also includes Heaven Is for Real, Captive, and Miracles From Heaven. Whereas the indie faith-based pictures (God's Not Dead 2, Do You Believe?, etc.) tend to be a little heavier on the proselytizing, those released by major studios put an equal emphasis on character and plot, so as to have some appeal for general audiences. All Saints, which comes from Sony Pictures, exemplifies the approach well. John Corbett plays Michael Spurlock, a pastor brought in to close down a small, struggling Tennessee church. The congregation consists of only about twelve people, and the parish is in substantial debt. He's all set to do his job until a group of Burmese refugees approaches asking for help. Michael becomes close to their de facto leader, Ye Win (Nelson Lee), and decides that he wants to assist these financially-destitute people. They're farmers, and the church has several acres of unused land, so he decides (with some divine intervention) to create a farm out back. His theory is that the food grown could feed the refugees, with the remainder being sold to pay off the debts. Before long, everyone is pitching in to make this happen. The lone holdout is Forrest (Barry Corbin), a cranky old farmer who needs to be won over before he'll help out. Based on a true story, All Saints works as a nice, pleasant feel-good story about a group of people working together to meet a common goal. It contains a warm performance from John Corbett, who brings a subtly rebellious quality to Michael that helps clarify why he's so determined to make the farm a reality. Corbin and Lee do first-rate supporting work, creating rich characters who earn our empathy. There are moments of high drama throughout, as well as moments of humor to lighten things up. And, of course, you walk away from the film feeling uplifted. This is the mainstream factor. The surprising element of All Saints is its religious message, which isn't as obvious as you'd expect. Michael and his congregation face one calamity after another in their attempt to get the farm up and running. Every time they think they've got a problem solved, another one pops up in its place. One scene has Michael asking his wife Aimee (Cara Buono) why God directed him to create the farm if He was only going to make it fail. All Saints isn't really about how faith leads to success; it's about why faith is important during the times when hope is lost. That sets it apart from most movies of its type, providing additional meaning. The characters triumph, just not in the way you anticipate. It would have been great if one or two of the other Burmese characters were as developed as Ye Win is, and – as is par for the course in the faith-based genre – a couple of moments are heavy-handed enough to border on cheesiness. Even so, All Saints, which was filmed on location at the real church where this story took place, gets more right than wrong. The depiction of decent people relying on their faith to make life better for their neighbors and their community is both touching and entertaining. All Saints is rated PG for thematic elements. The running time is 1 hour and 48 minutes.